Love, Ifa ! 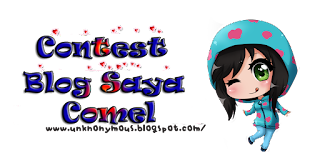 : contest : blog saya comel ! contest : blog saya comel ! err .. im in a contest ! okay fine ! stop ! ohoo ~ the rules r like thiss ! !